Some like their soups hot and shy away from the 'chilled variety'. 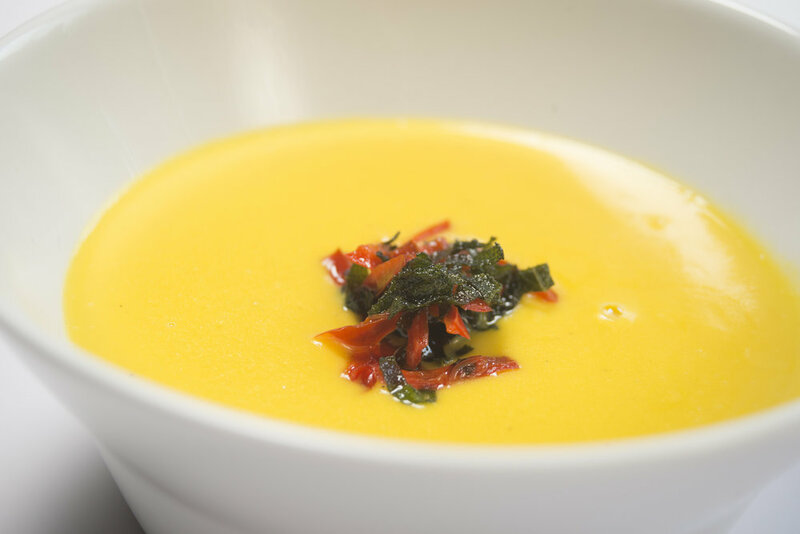 But when the weather is warm and sunny chilled soups come into their own! Many Mediterranean countries have their own delicious recipes - think Ajoblanco, Gazpacho, Solmorejo, Tarator, Vichyssoise, Avgolemono etc. There is something rather pleasing about a crisp, clean and refreshing soup starter when the temperature soars and/or they can be served in little shot glasses pre-drinks. Have a go with some of my own soups!